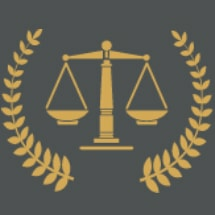 At The Law Office of Ronald L. Schwartz, in College Park, Maryland, we have the experience to help you through whatever legal issue you face. Whether you are considering bankruptcy* or are facing criminal charges, attorney Schwartz will meet with you personally to assess your case and decide on a way forward. If you are in financial difficulty, it is important to remember there is a way out – you have options. The worst thing you can do is do nothing. Bankruptcy might appear a drastic step, and you may be concerned about the effect it will have on you and your family. But remember although bankruptcy is not a process to embark on without proper consideration, the rules have been developed to protect individuals from complete financial ruin. When you file for bankruptcy, the court issues an automatic stay, preventing your creditors from harassing you for payment. In addition, certain types of property will be permanently protected from your creditors. For many of our clients, bankruptcy provides an invaluable period of relief, enabling them to see things more clearly and plan for the future. At The Law Office of Ronald L. Schwartz, we have helped thousands of people start afresh, without the burden of an unmanageable level of personal debt. Of course bankruptcy is not appropriate in every case, and when you consult us we will explain the other solutions available to you and whether either of the voluntary bankruptcy mechanisms (Chapter 7 and Chapter 11) is suitable in your case. Call our law firm now. Attorney Schwartz has been helping people file for bankruptcy for more than 30 years. Many people who contact us are experiencing the legal system for the first time. It is a stressful period. Our lawyers are here to provide the reassurance, support and professional guidance you need.